Hi gang! I hope you all had a great week and are settling in after all the holiday craziness! And a big Happy New Year to everyone! January is a time where we both catch our breath after the busy holiday reading season, and also start to look forward to what is coming for the year. We are starting the planning stages for our spring event. I have some new ideas I am really excited to share with you all. And it seems that conference season is going to soon be upon us! 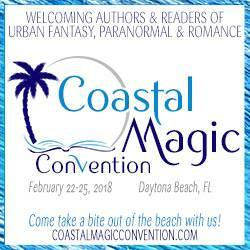 I will be at Coastal Magic at the end of February and Booklovers Convention later this spring, so I have to start getting myself in gear for those trips! Not to mention a high school senior graduating and making college decisions! So never a dull moment!